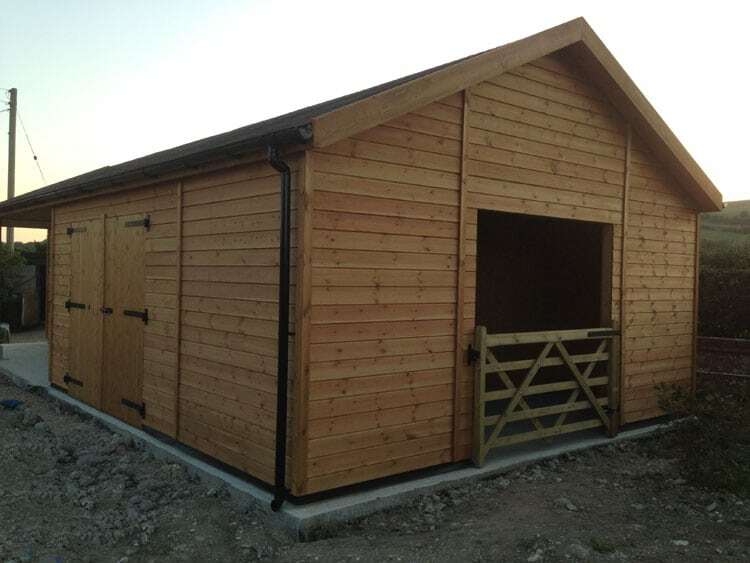 This block includes a stable, tack room, garage and hay barn. The overhang is 1.5m deep and includes support posts with curved angle braces. Staddle stones were also supplied for the posts to sit on. The roof is brown felt shingle (also available in black, red, green and grey). The standard galvanised hook & band hinges have been changed to black, available as an optional extra. A wooden gate was added to the hay barn.